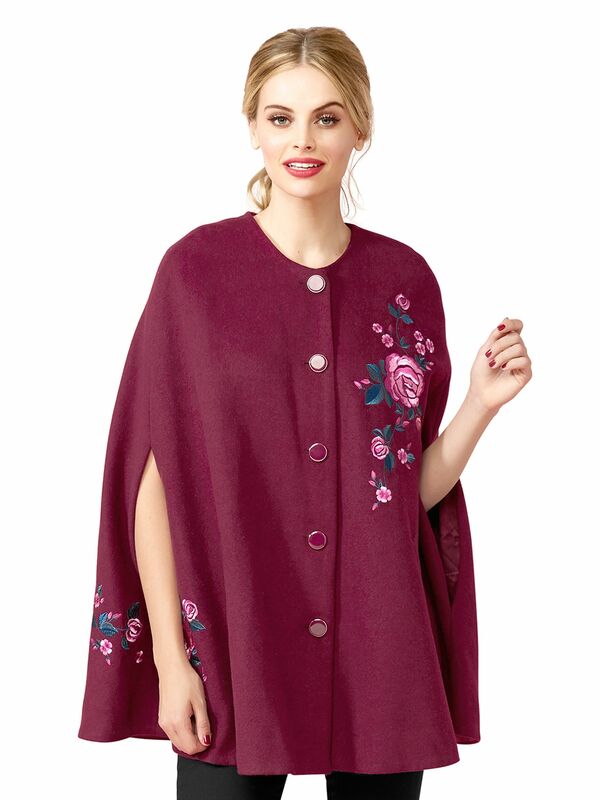 Enchanted Floral Cape https://www.review-australia.com/au/enchanted-floral-cape-red/RE18JK035.RERED065.html Add an old world bohemian grace to the everyday with this show-stopping cape. Rendered in our beautifully soft and warm wool blend fabrication, the Enchanted Floral Cape is far from your average overcoat. 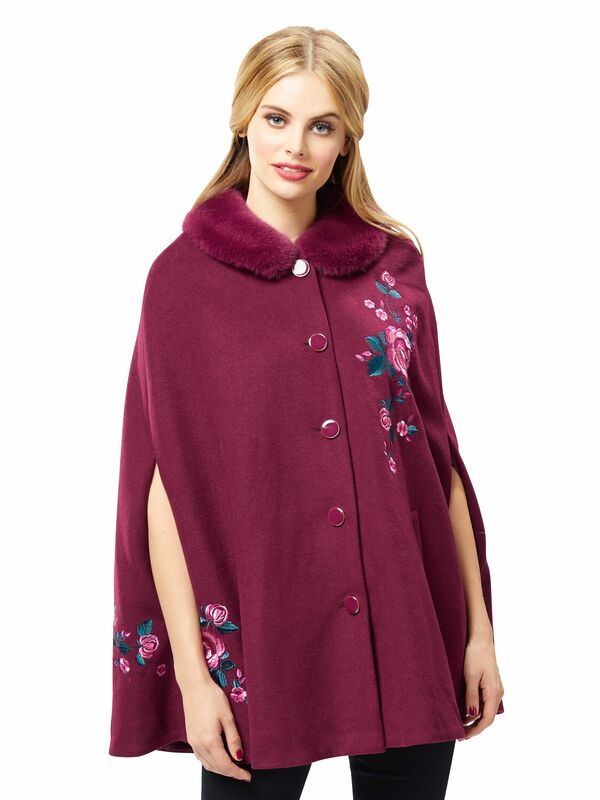 The relaxed fit cape will delight with its shiny enamel buttons, floral embroidery feature and luxe detachable fur collar. It's in a medium-heavy weight for warmth.To care for this garment, read ourWool Care Guide. Worn with the Emma Pants and the Minnie Pump/Heel. 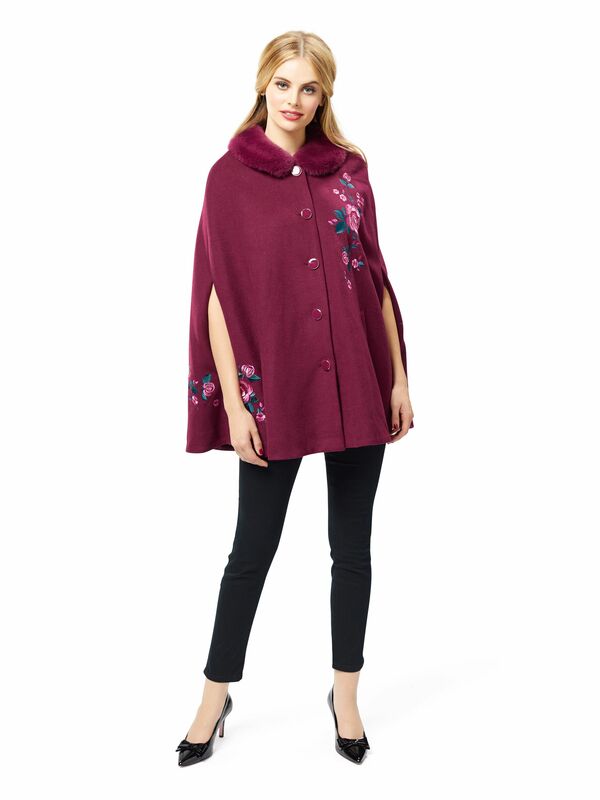 Add an old world bohemian grace to the everyday with this show-stopping cape. Rendered in our beautifully soft and warm wool blend fabrication, the Enchanted Floral Cape is far from your average overcoat. 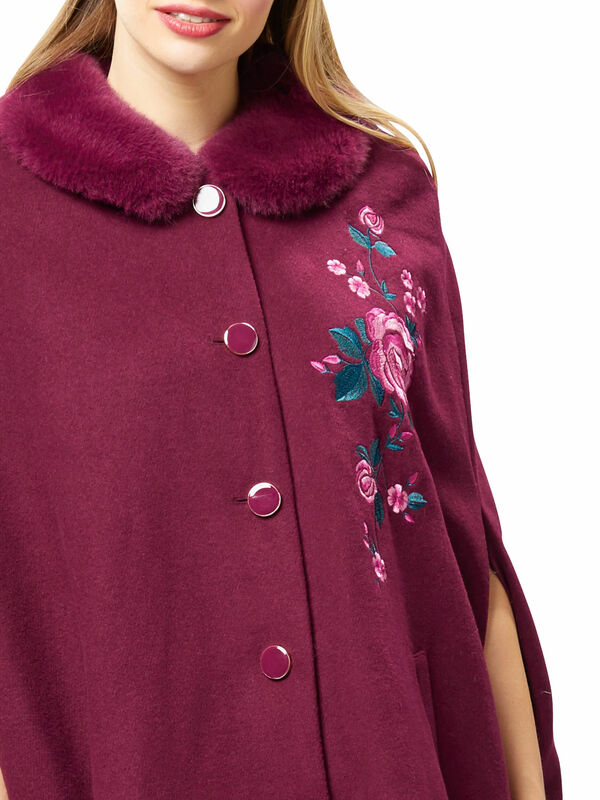 The relaxed fit cape will delight with its shiny enamel buttons, floral embroidery feature and luxe detachable fur collar. It's in a medium-heavy weight for warmth.To care for this garment, read ourWool Care Guide. Worn with the Emma Pants and the Minnie Pump/Heel. Enchanted Floral Cape is rated 5.0 out of 5 by 10. Rated 5 out of 5 by Linda Rose from A fabulous stylish comfy cape! I bought this last month for autumn weather but it’s now winter I’m still using it as it’s warm enough like my full length Review overcoats. It’s very comfortable can go on over my suits and jackets. It’s very elegant and stylish and I bought it without the tag price, I’m buying another one as I have to take this to the dry cleaners! Rated 5 out of 5 by JodieEllen from Absolutely gorgeous. 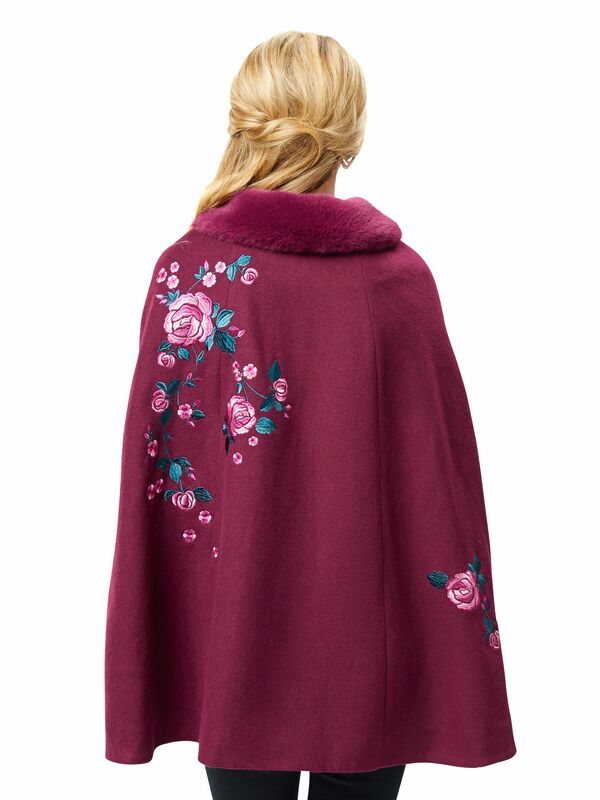 I love this Enchanted Floral Cape. It is absolutely gorgeous. I am happy to recommend this, for it is my favourite item of clothing bought this year. I know I will get a lot of use from it in the cold winter months and have already gotten many compliments. So many people wanted to know where I bought it. Thank you Review! Rated 5 out of 5 by Zarie from Gorgeous colour, warm feel, absolutely perfect! I have wanted this Cape for ages, and I'm so glad I finally indulged and purchased it. 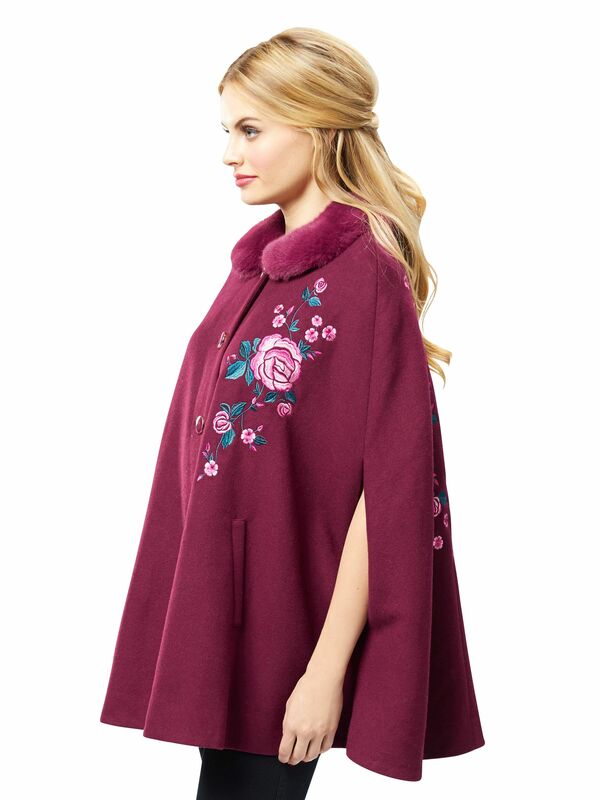 The long length is glorious, I also have a shorter Review cape and there is something extra warm and luxurious about the length of the Enchanted Cape. I also love the pockets on the front, perfect for keeping hands warm! Rated 5 out of 5 by Jaguar Girl from Stunning Cape I bought this recently when 50% off. I bought online..stunning when it arrived. Its very warm and thought I would send it back as Im in North Queensland. We've had a cold snap..worn twice already. Will wear it when I go out West to Longreach. Rated 5 out of 5 by Lhales from Beautiful cape! I bought this cape recently and I'm very happy with this purchase. The cape is very warm and comfortable to wear. I love the colour and the embroidered floral design. I also like how I can wear it with the collar and also without the collar. Rated 5 out of 5 by PinkbootPatty from Great for in-between seasons This is my second Cape from Review, and just like my other one, this is perfect for those days when a Cardi isn't quite enough, but a coat is too much. Can be dressed up or down easily and features gorgeous embroidered detailing. Rated 5 out of 5 by Pearl from Adorable!!! Absolutely gorgeous - the flowers are beautifully detailed and the collar is just too cute to handle! Definitely my new winter fave.